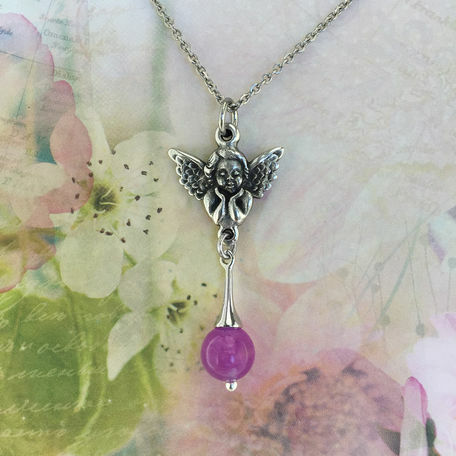 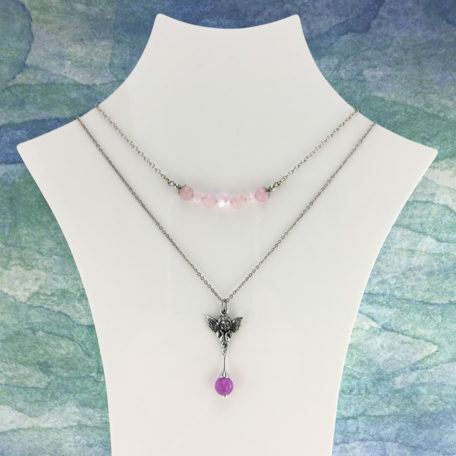 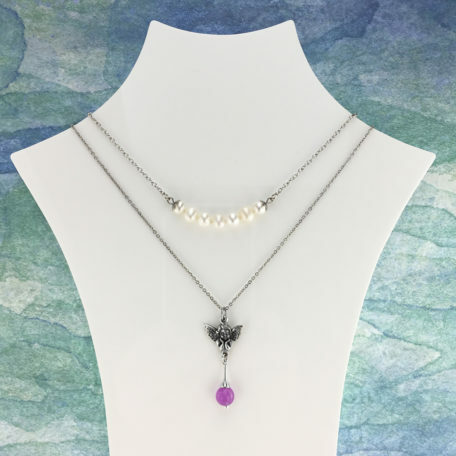 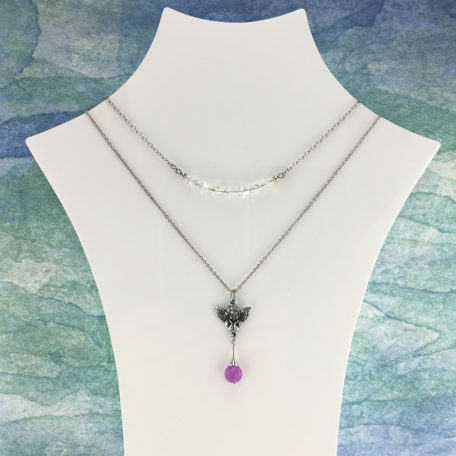 Stainless steel chain necklace featuring a superbly detailed pewter angel and fuchsia jade. Made in Australia with the finest lead-and-nickel-free pewter. Length is 45cm and extends up to 50cm.